That’s what happens when you have a tiny bust! Usually, I take out 1″ between the apex of the bust and center front. I learned the hard way that this can cause another fit problem….. 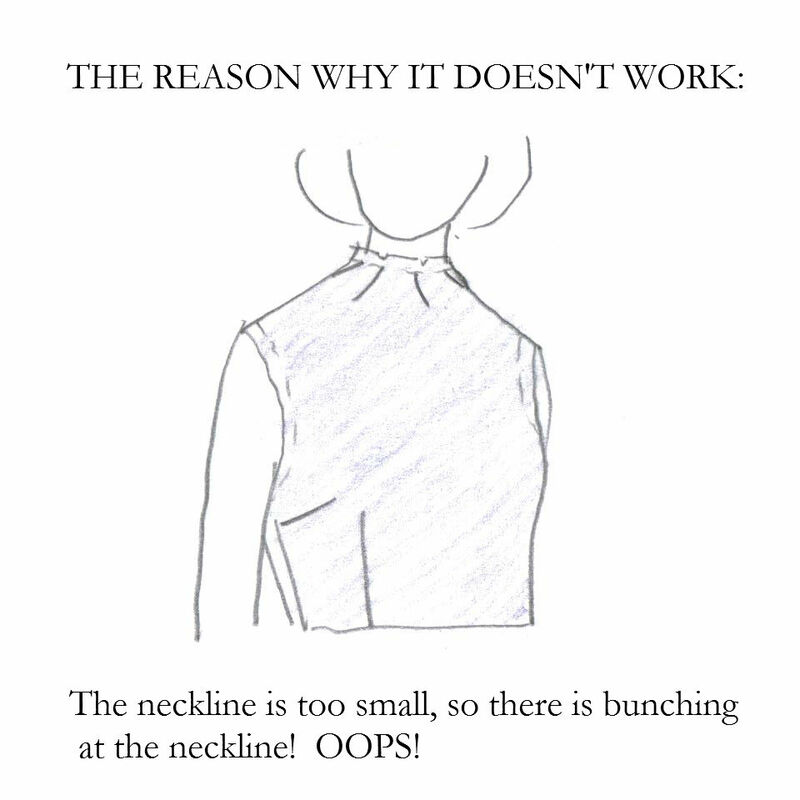 The solution for bunching at the neckline is to lower the neckline a bit by cutting some off. I tried that and it helped some, but didn’t take away the bunching completely. 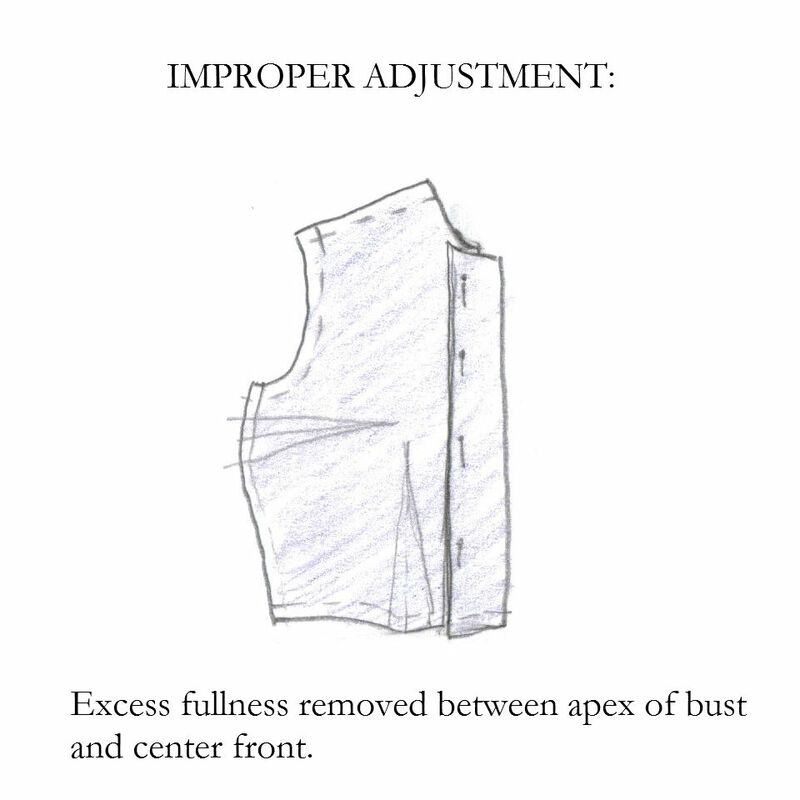 That’s probably because I’d taken out 1″ in the front neckline and 1″ in the back neckline. That’s a total of 2″ taken out of the neckline. I have to take out 1/2″ of the extra fullness for one side. 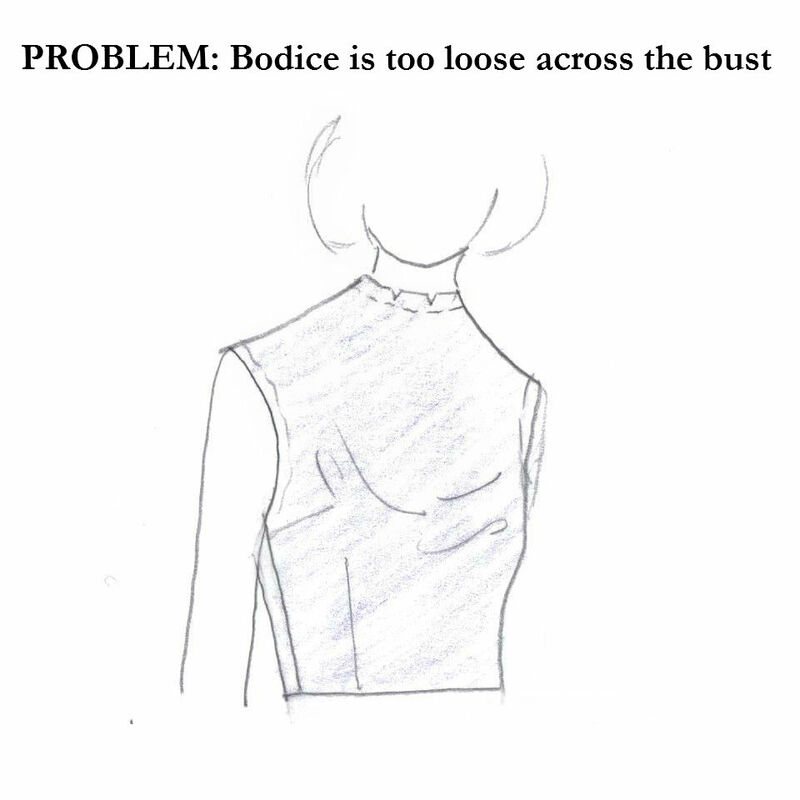 (That’s a total of 1″ in the bodice to make it fit.) 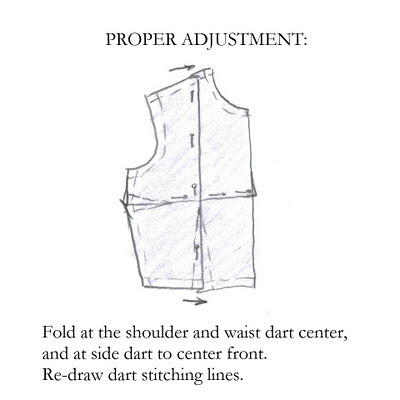 Redraw the dart stitching lines by locating the original point of dart (the apex), starting at the original stitching line at the base. The darts will be shallower. 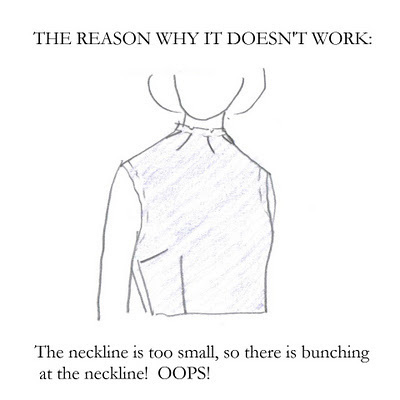 Because fullness has been taken out of the shoulder and not the neckline, the neckline is not distorted. My problem making the proper adjustment is that I have a princess seam bodice to work with. 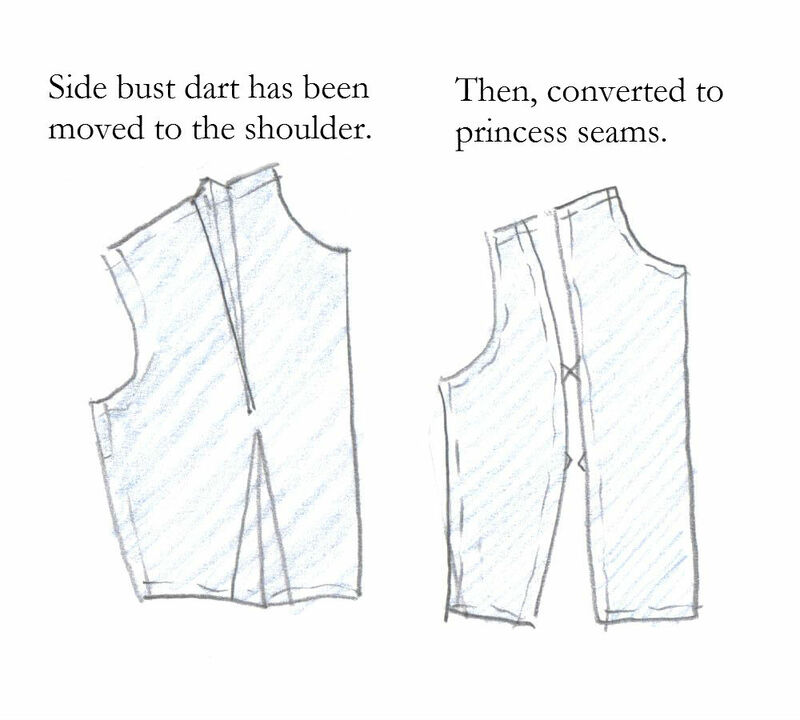 That means that the side dart has been moved to the shoulder. So my question is, how do I make the proper adjustment with princess seams?? 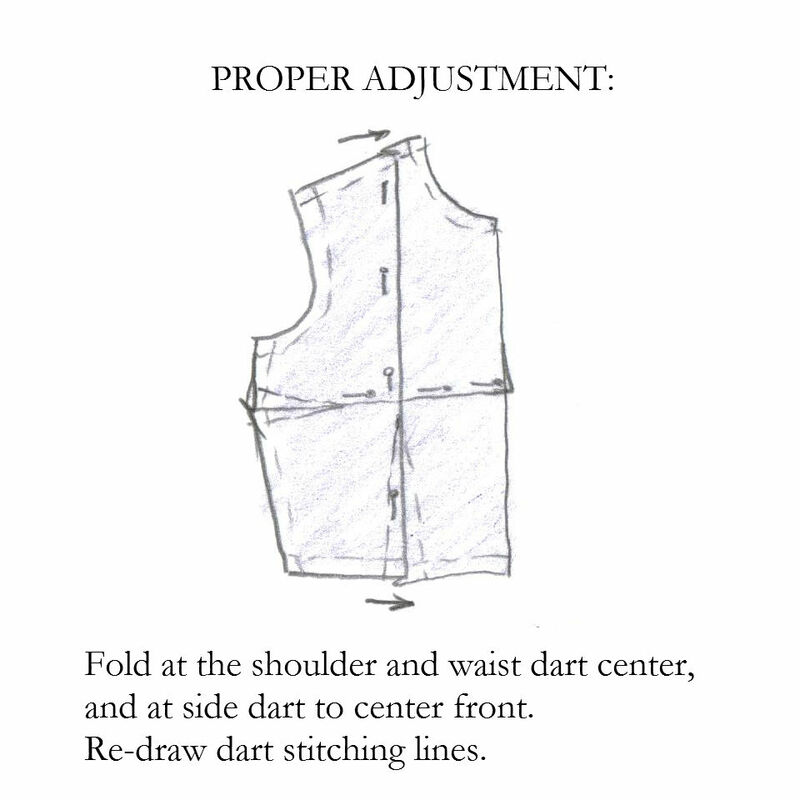 Do I have to turn the seams back into darts and the shoulder dart back into a waist dart and make the adjustment? That sounds like A LOT of work. I don’t know the answer. My alterations book doesn’t explain it and I my Google searches have been completely unhelpful. Times like these just make me want to make my own sloper. 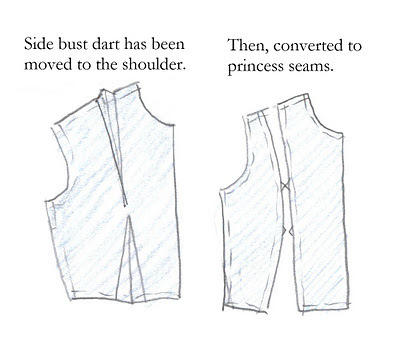 (Pattern-makers use a sloper, which is a basic pattern that fits your body. 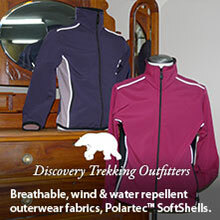 It can be used to create any other style of clothing.) 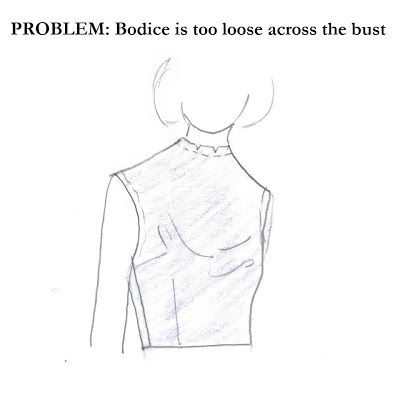 Slopers are more time consuming than a regular project, but then I could use the basic pattern that FITS to make any other style of blouse without spending hours altering every pattern I buy. For now, I just need to finish my current blouse project!